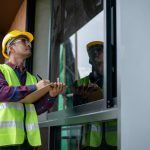 Workplace safety audits and inspections are incredibly beneficial and essential for maintaining a safe workplace, especially when they are done by diligent managers. Conducting your own regular inspections will help protect your workers while preparing you for the inevitable visit from the Ministry of Labour, who can show up at any time to ensure you are following OSHA regulations and employment standards (hours, pay, holidays, vacations). If your business is violating regulations or found to be neglecting basic safety protocols, they will take the necessary actions to correct it, in some cases issuing a “stop work” order which shuts down effected areas of your workplace. However keep in mind inspectors are not there with the goal to shut you down, but to promote safety and raise awareness of hazards and best practices. To avoid disruption, supervisors should be conducting their own weekly audits and continuously educating their employees on best practices when it comes to safety and their employment rights. Doing a monthly check on employee knowledge and inspecting the workplace itself for compliance is a good routine to keep. 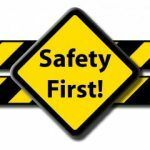 An annual safety meeting for all employees to openly share safety concerns and go over established practices is also recommended. This will not only protect your workers but the business as well if an accident happens. Encourage workers to report near misses as they happen and to offer suggestions on how safety can be improved. They should document everything they find, from areas of compliance to areas that need improvement. This report should be shared with everyone in the workplace to be made aware of what is and isn’t working, and to hold each other accountable for follow-up actions for improvements. Every workplace is different so be sure to account for any specifics related to your workplace. If these audits are effective, safety should improve and incidents should be reduced. Additionally, when the MOL inspector comes knocking, you should be not worried and look forward to a good result!